At Foothill Cosmetic Surgery Center in Glendora, we are committed to helping patients maintain their youthful appearance. Two of the most commonly chosen anti-aging treatments include Botox and facial fillers, which we provide with expert skill. 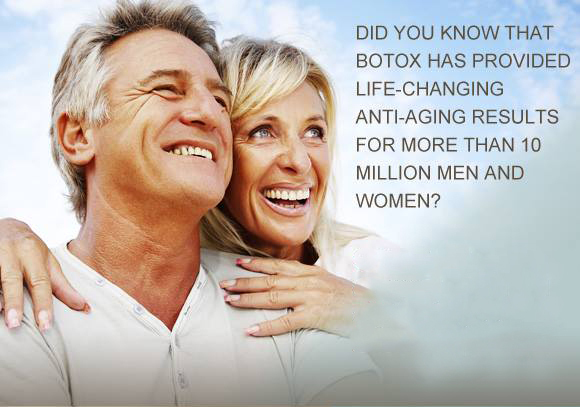 Botox is typically used for the upper areas of the face, including between the eyebrows and on the forehead. Lines and wrinkles can develop in these areas due to the repeated actions of the underlying muscles associated with frowning, furrowing the eyebrows, and squinting. Deep wrinkles can appear between the eyebrows, on the forehead, around the corners of the eyes, and on the bridge of the nose. This can result in an unhappy appearance, which can detract from someone's natural beauty. Plastic surgeons and dermatologists can remedy these lines, wrinkles, and folds with Botox for improved results up to four months or longer. Botulinum Toxin A, also known as Botox and Botulinum Toxin B, also known as Myobloc are substances that when injected into muscles, can block nerve signals from the brain. Very small amounts are used to block the impulse of the muscles to contract, resulting in relaxation. This immobilizes the muscle and reduces the presence of wrinkles and folds in these dynamic tension areas. Botox, although a wonderful solution for many common signs of aging, is not the answer to every line or crease on the face. Aging occurs differently from the mid-face downward, the result of volume loss rather than muscle contractions. In instances where a full lift is the goal, we may incorporate facial fillers into the treatment plan. For some patients, facial fillers are used as the sole treatment for rejuvenation.